Cri-kee is finally mine all mine!!! After so many failed attempts at trying to trade for it, I can hardly believe it. Also snatched up a cool pin of these 3 cool dudes I didn't know I wanted. firechief18, CCofRR13, Nasubionna and 15 others like this. 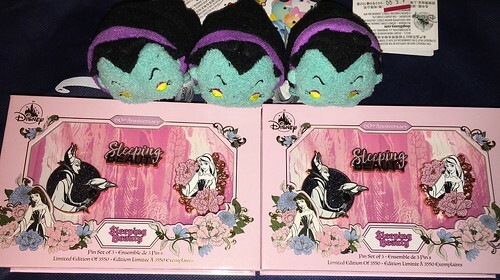 These 2 are fantasy pins, which I don’t normally collect but I fell in love with them & couldn’t pass them up. firechief18, CCofRR13, Nasubionna and 7 others like this. Hatter is compliments of @timeerkat pickup. 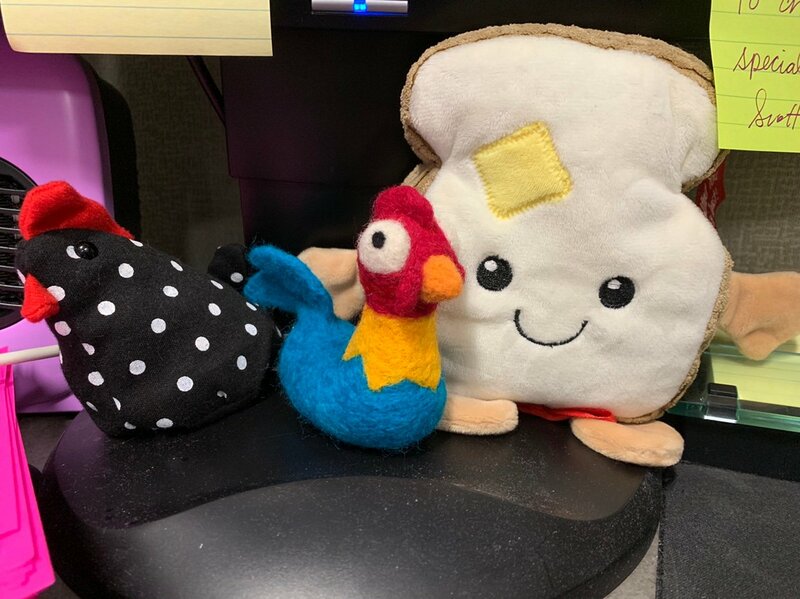 I now have a Cutie in my collection - thanks Tessa! CCofRR13, TheMickeyMouseRules, Ajk and 8 others like this. CCofRR13, TheMickeyMouseRules, TinyTink and 9 others like this. TheMickeyMouseRules, Kerri780, krand1276 and 2 others like this. Yeah, I mean sure. If you want to. Not like I care. Or, you know, am curious. Or whatever. Pfft. Yeah. Not at all. TheMickeyMouseRules, TinyTink, Kerri780 and 5 others like this. Here we go! We got 11 keepers (one of them a chaser!!!) and 9 duplicates! These are so great! 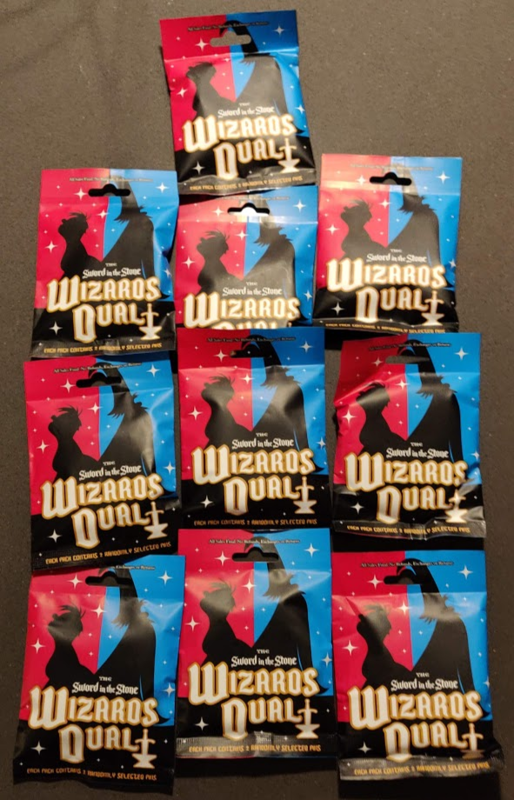 The duplicates will be up for trade or sale in the future! CCofRR13, Nasubionna, TheMickeyMouseRules and 10 others like this. Ooh! I’m def interested in a fox one! My pinpics is the same as here if you wanna take a look! I will only be collecting the quotes from next month onward, so if anyone wants to co-op or trade for the characters, lemme know! CCofRR13, TheMickeyMouseRules, TammyH and 6 others like this. It's mail time (for the month). I made several trades with members here, Pin Pics, and on IG. 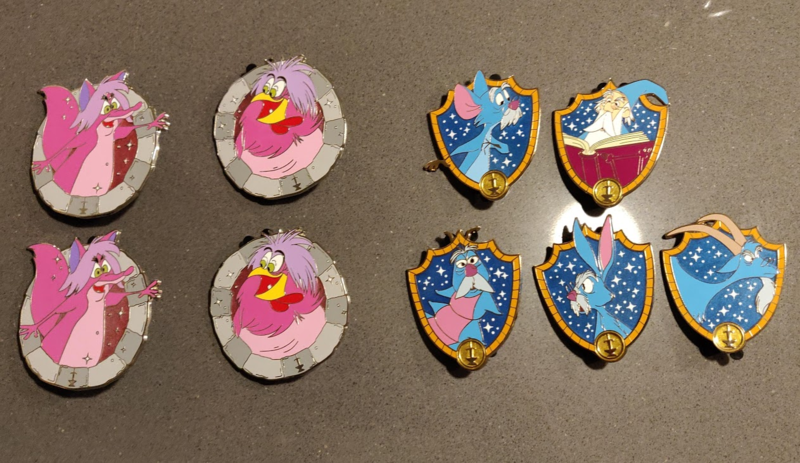 I made progress on a few collections, completed one anniversary set, finished my Aladdin Park Pack set, and finally got the Abu HM completer pin. I made an awesome trade with @bcol. The Genie super chaser from the mystery set was the last one I needed. I love the Jasmine and Vanellope set. The Mulan pins are great. The details on the pins are amazing. He zapped me some things, as well. @tiffychan traded me the Prince John and Sir Hiss pin. It is wonderful and now I've acquired more than half of the WDI anniversary pins. I got the next pin from the 'bay, but it was a great price on a pin I needed for this set. Now I only need one pin from each coast. 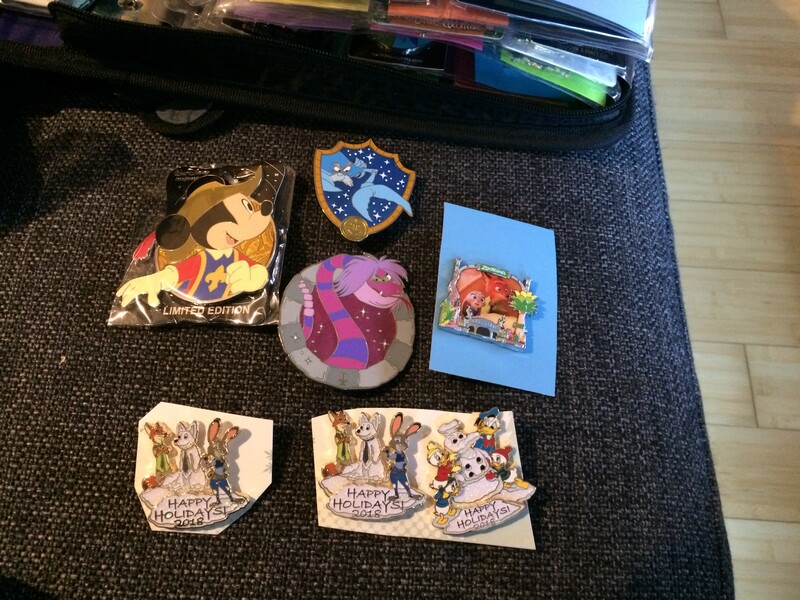 Elisebrown916 from Pin Pics traded me the Park Pack pins and Abu. DeputyDonald, CCofRR13, Ajk and 6 others like this. The Genie super chaser from the mystery set was the last one I needed. I love the Jasmine and Vanellope set. Now I have them all. The Mulan pins are great. The details on the pins are amazing. He zapped me some things, as well. I got the next pins from the 'bay, but it was a great price on a pin I needed for this set. Now I only need one pin from each coast. 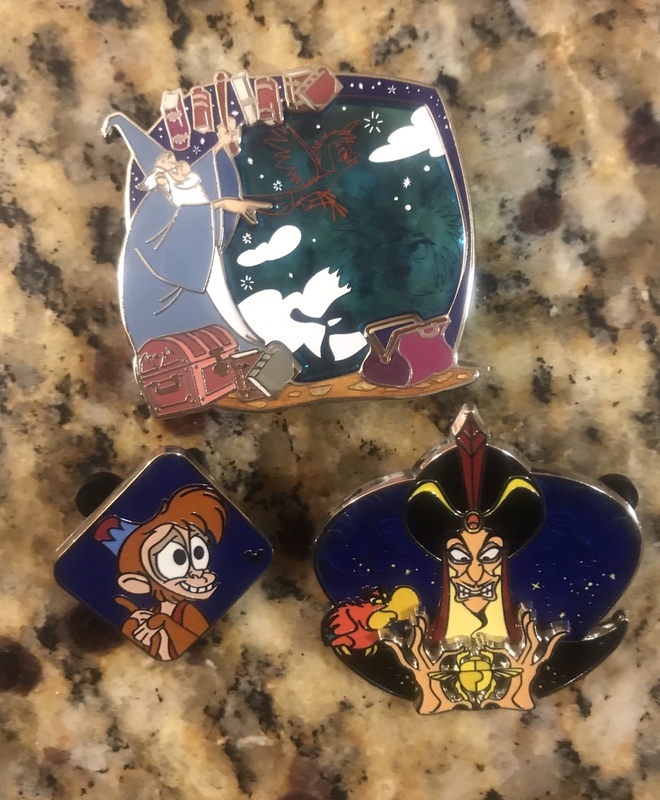 Elisebrown916 from Pin Pics trades me the Park Pack pins and Abu. Congrats, I'm longing for that Genie chaser to complete my set too! Here are some of the pins I've received recently. There were a few more, but I've put a few away with the rest of the sets. First is a big, amazing trade with @bcol. He sent so many great pins! Too many, in fact. 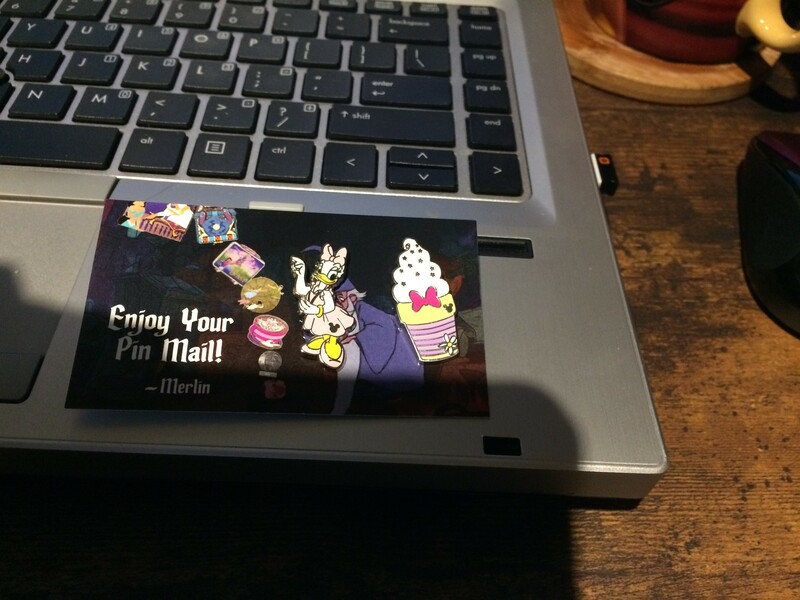 One of the pins in the first photo, the Chip n Dale w/turkey leg and the adorable Eeyore ornament were zaps. Thank you so much! Then a trade with @Lisa Lopez. She sent some wonderful holiday pins. Yay! Thank you! 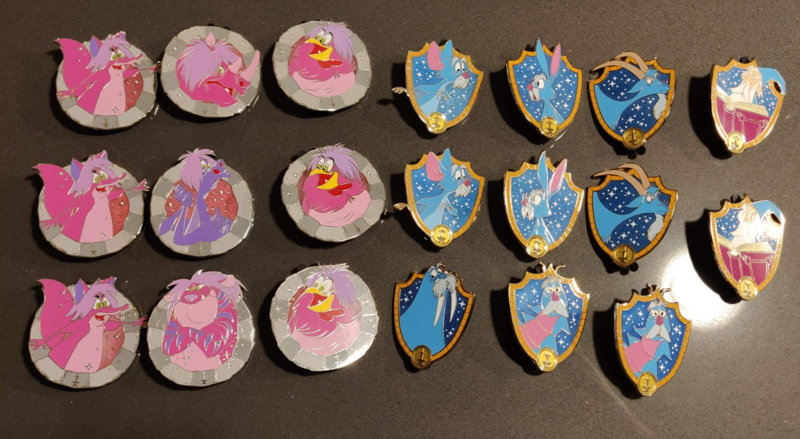 The other pins, I believe, were either trades from pinpics or auction wins. I apologize if I forgot to mention someone. DeputyDonald, CCofRR13, Ajk and 9 others like this. 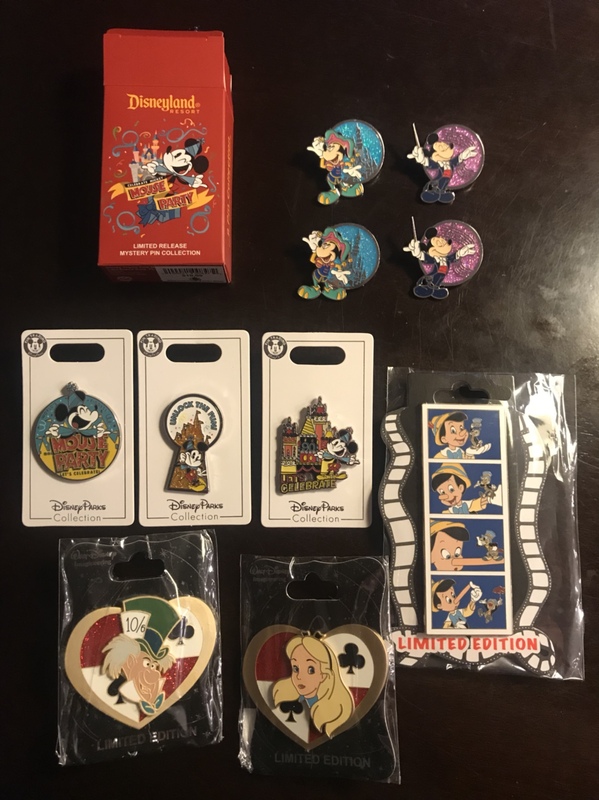 And I got the following from fellow DPFers and the trade tables at DLR today. 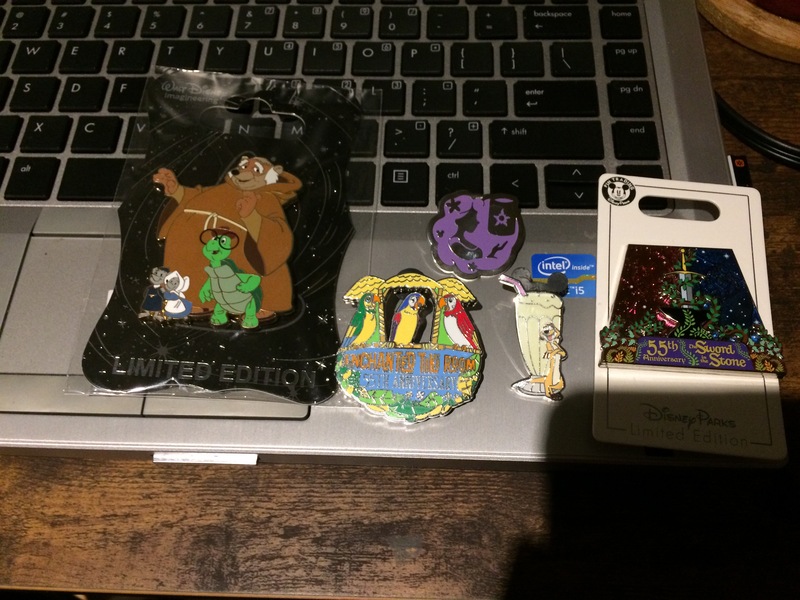 Not a whole lot (most traders had left the area by the time I went over to trade), but another Timon to add to the hoard and the Sword and the Stone and Tiki Room anniversary pins to add to those collections. 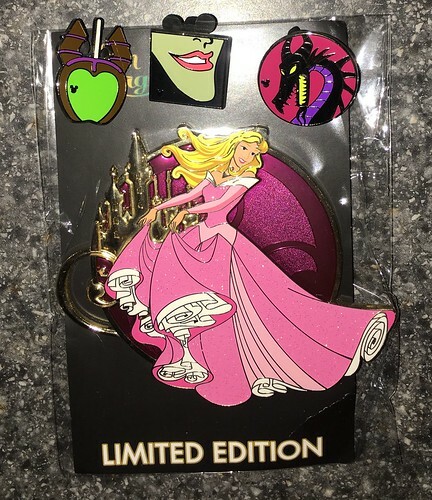 The Robin Hood and Rapunzel pins are traders. AshleyV, bcol, CCofRR13 and 7 others like this. I don’t put a lot of effort into gathering them, but if one pops up for cheap or comes in an easy trade I’ll take it! :3 His PTD deserves much more love than it gets. bcol, MerlinEmrys and summerskin like this. What a great mail day! Thanks for the awesome trade @TheMickeyMouseRules! bcol, krand1276, CCofRR13 and 6 others like this. Here’s my recent mail for the week. Thanks TheMickeyMouseRules for picking up the mystery boxes. P.S. 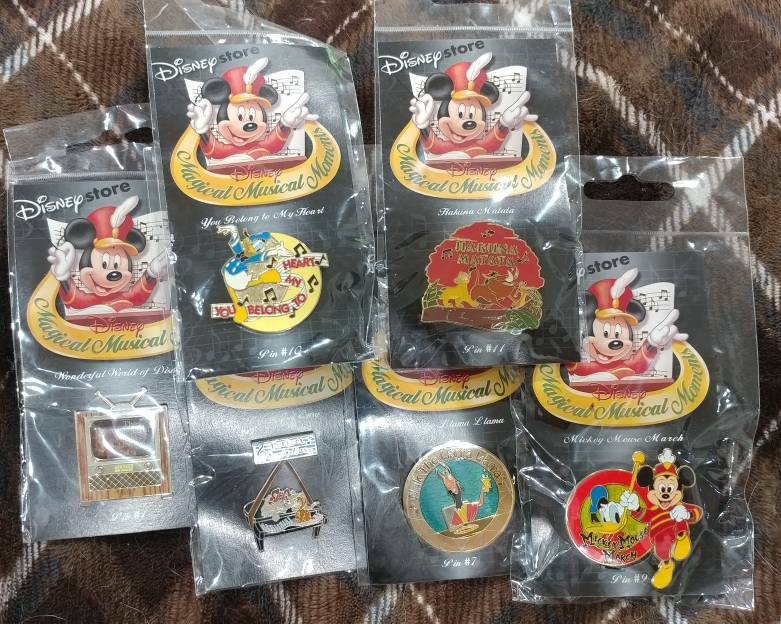 if anyone is willing, my doubles are up for trade trying for the whole Mouse Party collection. CCofRR13, Ajk, *Firefly* and 5 others like this. 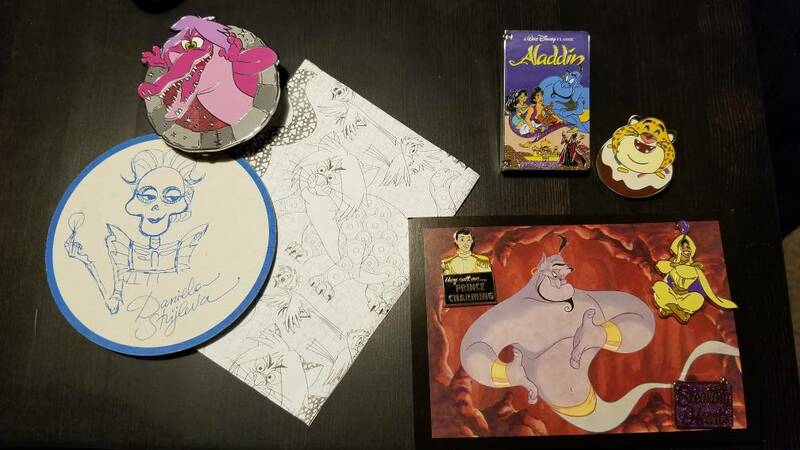 Got my great package from @Shelterkat for the Aladdin VHS (that pin is so big! ), plus some pickups for international peeps (not pictured). Got my co-op for the Valentine's princes from @summerskin, and Prince Charming decided to sneak along as well ;P thank you ma-dear! :3 The Clawhauser HM is amazing and big and I love it! And one of the last Wdi sits pins I needed from a great IG traders. :3 whoo!! goofyfordonald, bcol, TheMickeyMouseRules and 7 others like this. Y A L L L L L ! ! ! ! I have gotten some trades over the last few weeks but none of those trades even come close to comparing to this!!! Ajk, bcol, TheMickeyMouseRules and 12 others like this. khossler, summerskin, krand1276 and 1 other person like this. Found the space Pooh and piglet randomly on eBay. It’s one of those disneyshopping pins! I put it on my work lanyard. Ajk, Ocean7, splashmtnman and 13 others like this. That Dumbo is super cute! Congrats! pins4twin and watzshakinbacon like this.